Everything you need to manage relocation referrals. We have a separate product - Chorus - for managing broker-to-broker referrals. Chorus has a clean modern design, automated outbound referral update requests, and tracks every party in the relocation. Each assigned agent has their own ProspectConverter CRM login so you can see every action they take while working with your referral. Chorus can be purchased separately or integrated with the ProspectConverter Lead Management System. Our system automaticallyrequests updates on all referrals, making it easier to stay on top of the status of your transactions. Chorus contains workflow plans with text and email reminders that will keep you and your agents ontop of things. 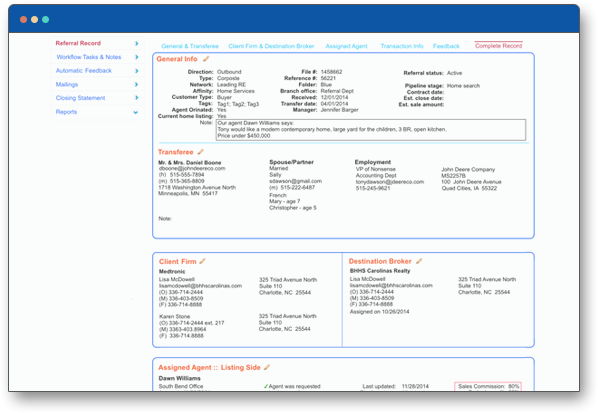 Each assigned agent receives a CRM module to nurture their referrals, which is linked to the manager’s referral record. Managers know the status of each referral without needing to ask. Keep track of your inventory easily in one place. Send emails with attachments to any party participating in the referral. Sync your email account to import all correspondence to the referral record. Chorus isn’t just pretty. It is designed to be efficient and fast and easy to learn and use. Chorus was built to work with your business. 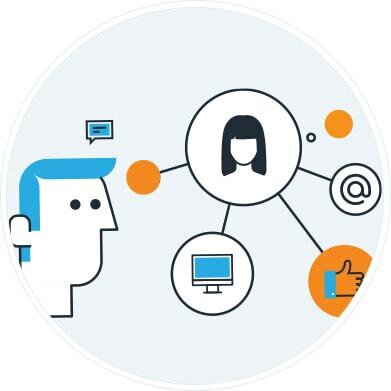 Like all ProspectConverter products, Chorus was built to easily integrate with all your existing systems, including those for reporting, storing and sharing documents, your intranet and MLSs. Plus, we give you plenty of customization options. Chorus is priced at only $199 for up to 3 managers and 10 agents or $399 for unlimited users. "We are thrilled with how easy it is to use Chorus and delighted with its modern interface and ﬂexibility."